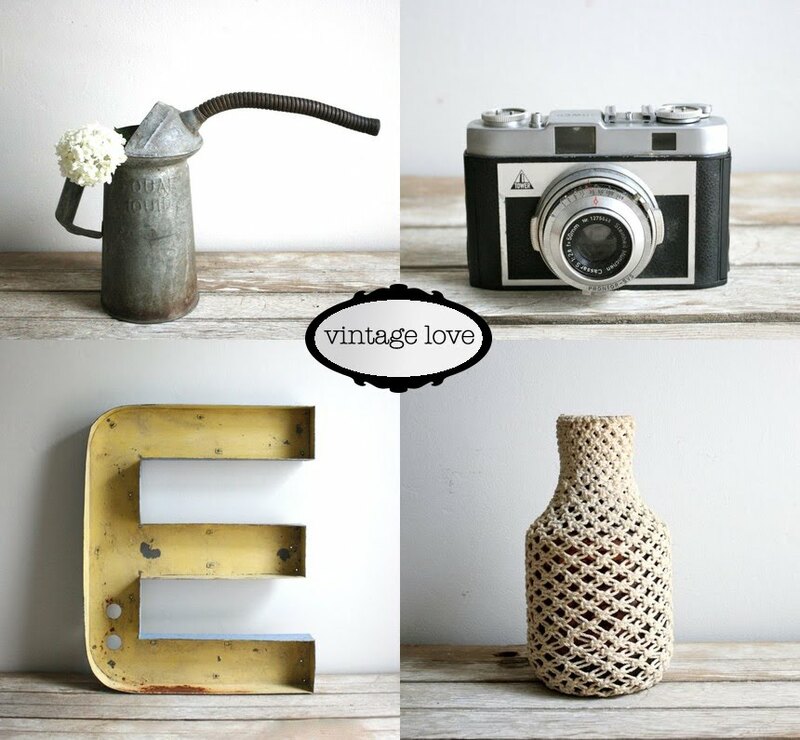 The Design Boards: Vintage Love - Lackluster Co. I love the nostalgia associated with all things vintage. Each piece has a unique and wonderful history. And having a graphic design background, I've learned to appreciate the details in my finds, whether it be the well worn typography of a vintage gas station number or the beautiful patina of an antique muffin pan. Things today are so mass produced, unoriginal, and simply lack the quality of the past. I love the idea of repurposing or reusing an older object into something new or exciting. As mentioned above, I have a design background, and I love all things typography, especially OLD typography. I was fortunate enough to run into these drive-in letters from the 1960s. Everything about them is incredible. The size, color, peeling paint -- and I like to think that I saved them from a destined life at a scrap yard/landfill. Unfortunately, I don't sell vintage full-time (although, I would love to one day), but when time permits, I'll attend thrift stores during the week (and especially on sale days!). I'll occasionally road trip to far away flea markets during weekdays, and during the weekend, you can find me routing out yard sales and rummage sales. Sunday is my big day, and I drive about an hour and a half away to one of my favorite flea markets. One of the biggest tips I can offer -- make sure what you're buying is genuine vintage! There are so many reproductions and fakes out there, so look over your items carefully. If it looks to be in too good of shape for its age, you might want to think twice about how old the item actually is. Thank you Beth for participating in this week's Vintage Love. Photos courtesy of Beth, Lackluster Co.